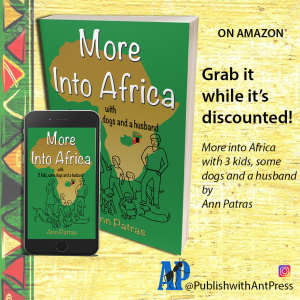 Bestselling book, More into Africa with 3 kids, some dogs and a husband by Ann Patras is discounted for a short time. Quick! Catch it before the price goes back up!